We are thrilled to announce that the Art School is now offering a new BA (Hons) and two new MA courses, commencing in 2019/20. Our BA (Hons) Historic Carving, with pathways in Woodcarving & Gilding or Architectural Stone, MA Carving (which can also be taken as a PGDip Carving) and MA Art & Material Histories, were all recently validated by Ravensbourne University London, and are now open for applications. 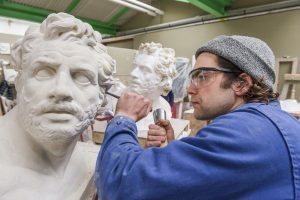 Based on our longstanding and well-respected historic carving diplomas and postgraduate diplomas, our BA (Hons) and MA degrees in Historic Carving are unique and the ONLY carving courses available at this level in the UK. Led by Master carver and Head of Historic Carving Tim Crawley, who has worked on some of the country’s most important restoration projects, the courses benefit from the experience and expertise of a team of established practising professionals, renowned within the heritage sector. “The achievement of both BA (Hons) and MA status, is important in that it recognises the quality of our long-established programmes, and sets them within an international framework of academic achievement, opening up a new world of opportunities for graduates. The Diploma and PGDip programmes that these new courses replace, developed and evolved over many years and have proved very effective in preparing students for professional practice as freelance specialist carvers and for work in the heritage and art sectors. We are delighted that the quality of our teaching and the standard of our students’ work has been recognised in this way. 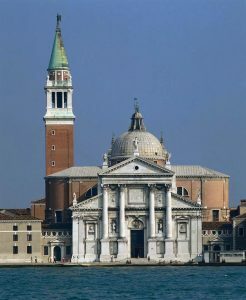 A combination of expert tutors, bespoke facilities, prestigious live commissions and restoration projects and a holistic syllabus that includes observational drawing, modelling, casting, anatomy and Art Histories, ensures that graduates from the Art School’s Historic Carving courses are sought after in the heritage sector and regularly forge successful careers in their chosen field. Our new MA Art & Material Histories course has developed from the Art Histories programmes that are integral to all the undergraduate and postgraduate courses at the Art School. 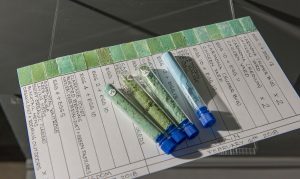 It sets out to investigate Art Histories through the lens of materials and is unique in the UK with its focus on the links between material, critical, scientific and historical enquiry. Students will be taught through lectures, seminars, group and individual tutorials, reading groups and study visits and will consider and scrutinise the use of materials in a range of historical and contemporary artworks and material objects. Workshop access will provide opportunities for students to think about art and material histories more directly. 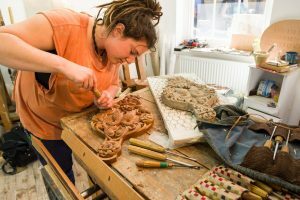 The new Historic Carving and Art Histories courses are now open for application, with open days available for interested students to explore the Art School, meet the tutors and students and get a feel for studying with us.